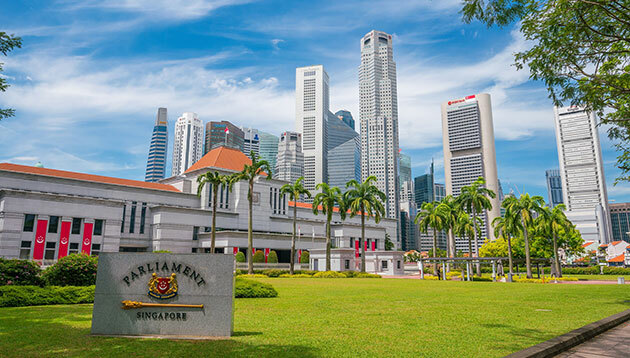 In Parliamentary sessions this week in Singapore, Minister for Manpower Josephine Teo and Minister of State for Manpower Zaqy Mohamad responded to a range of issues including the unfair employment practices and the minimum age to get monthly payouts from Central Provident Fund (CPF). Here’s a quick summary of what was said. Minister of State for Manpower Zaqy Mohamad noted the Tripartite Alliance for Fair and Progressive Employment Practices (TAFEP) and Ministry of Manpower (MOM) receive an average of 450 complaints of unfair employment practices a year between 2015 and 2017. Depending on the situation, TAFEP would then help employers improve internal practices and processes or resolve complaints amicably to help both employers and employees move on from the incidents. Some complaints result in sanctions and enforcement actions such as the curtailing of work pass privileges, Minister Zaqy noted. He added that while the MOM and TAFEP have publicised cases in situations of or where the conduct is egregious, naming all errant employers publicly could have unintended consequences such as identifying affected employees. To raise public awareness and prevent unfair employment practices, TAFEP develops cases studies and educates employers through focused channels such as briefings and workshops. This was said on Tuesday (15 January) in response to Nominated MP Walter Theseira, who asked whether the ministry could publicly name errant employers to assure people that action is being taken. In addition, according to The Straits Times, a total of 521 firms with unfair employment practices were warned or sanctioned by the MOM. Of the 512, 300 companies received warnings, while 221 companies faced more difficulty in applying for foreign work passes. Minister for Manpower Josephine Teo said on Tuesday (15 January), that the minimum age for monthly payouts from CPF will not be lowered from 65. She added that her priority this year will be to build a new tripartite consensus on retirement age and re-employment age. This was in response to Lee Bee Wah (MP for Nee Soon GRC), who asked about offering an option for CPF members to withdraw their CPF savings at the retirement age of 62. The Minister noted that the Payout Eligibility Age (PEA) of 65 in Singapore is not unusual. In fact, in light of increasing longevity, countries including Netherlands, Denmark, and Germany are gradually increasing pension withdrawal age to 67 by 2021, 2022, and 2031 respectively. “So against such a backdrop, we must really ask if it is wise to lower our own PEA,” she said. Rather, the key concern – which was consistent with the focus group discussions held with members of the public – was the opportunity to work longer. That said, employers have also expressed concerns of increased obligations and their considerations. Hence, Minister Teo noted: “The main priority for now is to build a tripartite consensus on the way forward and this tripartite consensus concerns the retirement age, currently 62, and the re-employment age up to 67 today. In a written response, Minister for Manpower Josephine Teo noted that the MOM handled four trade disputes relating to flexible wage implementation in the past five years. These disputed were all collective in nature and due to disagreements over how variable bonuses were determined. With the help of MOM’s conciliation efforts, employers and unions mutually agreed on bonuses to be paid and the cases were resolved. Minister Teo noted that MOM will continue working with the tripartite partners to share best practices and industry norms so that flexible wages are implemented fairly and progressively. This was in response to Gan Thiam Poh (MP for Ang Mo Kio GRC) who asked for the number of cases of dispute related to the flexi-wage system, the reason for the disputes, and how the ministry ensures fair employment and remuneration practices. Minister for Manpower Josephine Teo said the marginal increase in construction workplace fatalities from 12 in 2017 to 14 in 2018 reflects the challenge of sustaining the improvements over the last decade. She noted the fatalities have been on the decline from an average of 29 between 2009 and 2013 to an average of 21 between 2014 and 2018. Falls from height remained the main contributor of fatalities in recent years. This was in response to Melvin Yong Yik Chye (MP Tanjong Pagar GRC) who asked about the increase of construction workplace fatalities in 2018 as compared to 2017, the profile of fatalities, and what can be done to reduce it. When it comes to reducing fatalities, the minister noted that the existing approach to raise awareness on safety lapses while carrying out targeted enforcement has helped and the ministry will continue to work with the WSH Council to raise safety and health awareness through campaigns, roadshows and events at dormitories. Learning points will also be shared with partners like the Singapore Contractors Association, new workers will have to undergo mandatory safety orientation training, and MOM will sustain regular inspections on construction sites. Last year, MOM conducted about 3,000 construction inspections, covering close to 70% of active construction sites. They resulted in 55 Stop-Work-Orders and 1,100 composition fines. Apart from that, WSH2028 Tripartite Strategies Committee has been discussing how WSH outcomes can be improved and recommendations will be released in February 2019.